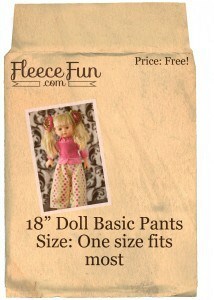 This Doll Basic Pants Pattern is quick to sew. 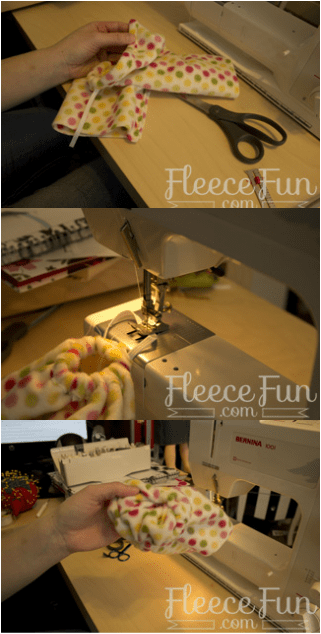 You can make coordinating pants for your little one and her doll! This pattern will fit and 18 inch or an American Girl doll. You can find instructions on how to assemble the pattern here. 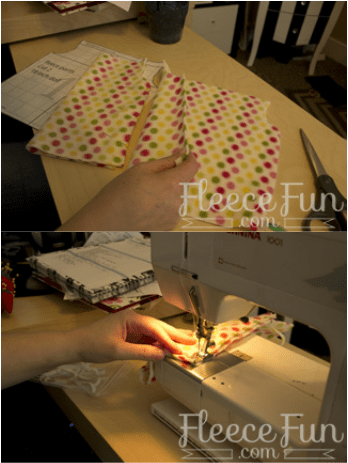 You will be cutting two of the pattern – so on folded cloth cut out the pattern. Tip: It’s really easy to make multiple pants at the same time. So cut out all the pants at once – you’ll save time. Taking each piece you just cut fold right sides together and pin up pant leg to the point of where it begins to curve. 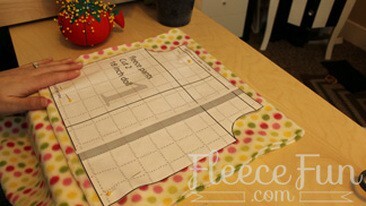 Sew each piece using a .25 inch seam. Turn one pant leg right side out and stuff down into inside out pant leg. Line up seams and pin together. Sew. Sew additional reinforcement in crotch area if desired. Turn the waistband down .5 inches. Pin. 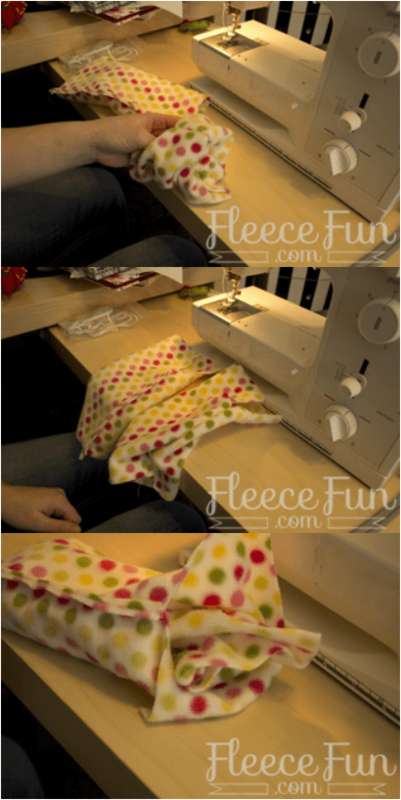 Using a medium zigzag sew along edge of waist starting at a seam and stopping 1 inch short of completing the seam. Okay pieces 1&2 came through .. and nothing else. I have downloaded the file program to download the PDF and that hasn’t worked either.. Suggestions are appreciated ! I have been trying to find the patten for the coat and hat in this picture. The fleece matches this pant pattern. Does anyone know where I can find these patterns (or the actual doll clothes)? Very cute Deirdre – thank you for sharing!